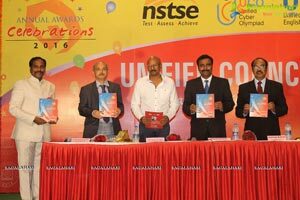 Unified Council organised Annual Awards Ceremony for the toppers in National Level Science Talent Search Examination 2015(NSTSE), Unified Cyber Olympiad (UCO), Unified International English Olympiad (UIEO) across the Country. 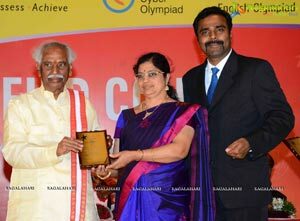 On the Occasion Srinivas Kollipara, Founder & COO, T-Hub, Srinivas Nandoori, ED,Singereni Colleries Limited, Raman Gogula, popular music composer felicitated Award winners at at Ravindra Bharathi, Hyderabad, B.v. Pattabhiram, Psychologist graced the Ceremony. 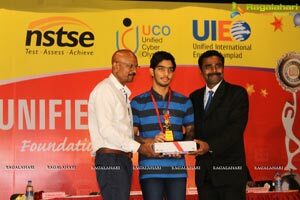 “Since its inception, Unified Council has been thriving to promote an eminently premium quality educational event by conducting National level science talent search examinations , Unified Cyber Olympiad and Unified International English Olympiad’’ Mr Srinivas Kalluri -Director for unified council, said.Unified Council will not only conducts examinations but also provides unique analysis reports & measures to improve the skills in Maths,Science, Computers and English to the students’’ he added. 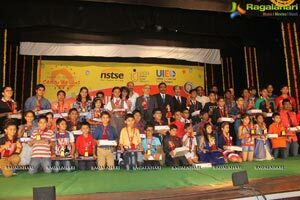 National Level Science Talent Search Examination (NSTSE) 39 National Level Rankers, Unified Cyber Olympiad (UCO) 27 National Rankers, Unified International English Olympiad 27 (UIEO). And 130 national rankers from the state. 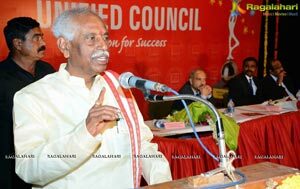 This year more than 7,00,000 students from class I to XII took part in our examinations to strengthen their fundamental knowledge in Maths, Science, Computers and English. Students from Indonesia, Kingdom of Saudi Arabia, United Arab Emirates, Kuwait, Sultanate of Oman, Yeman, Russia, Bahrain, Qatar, Iran, Libiya, and Tanzania countries also participate in our exams.